With winter upon us and snow coming down in delicious flakes, it’s hard to fault the hungry people who are racing outside to scoop up the fluffy white stuff by the spoonful. OK, maybe you haven’t filled up a natural snow cone yet this winter, but humans have been eating the stuff for thousands of years. Legend has it that Cleopatra served her lover Mark Antony a frozen slush treat after a rare Egyptian snowstorm and the extravagant Roman emperor Nero had snow transported from the tops of nearby mountains to his table for a sorbet-like dessert. Even Marco Polo may have brought back a snow ice cream recipe from his Far East travels that Kublai Khan kept a closely guarded secret. In theory, snow should be just crystallized water vapor falling to Earth, making it a potentially perfect edible treat for anything from snow ice cream to snow mimosas. The reality though, is not as nice. While we always knew not to eat yellow snow, unfortunately recent studies now say that perhaps we should avoid eating this wintery treat falling from the heavens altogether. In December 2015, Environmental Science published a study conducted by researchers at McGill University in Montreal (Yes, they’re Canadian, so they know snow). The study concluded that snow, especially in urban areas, contains toxic pollutants—mainly ones that are found in car exhaust—absorbed from the air. They conducted the study by putting snow and exhaust fumes in a chamber together. 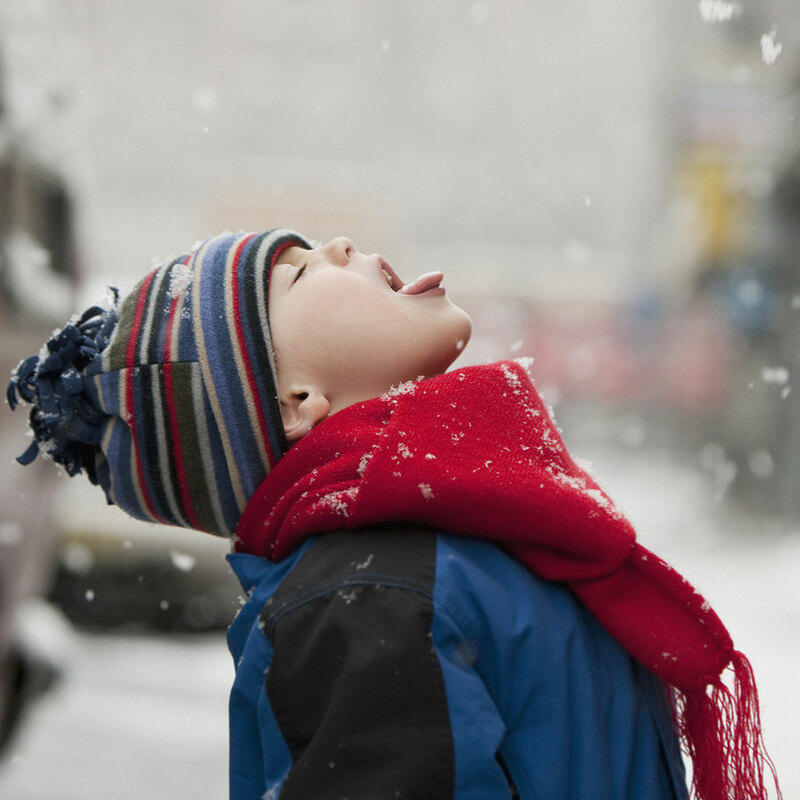 After only an hour, they discovered that the snow was very efficient in absorbing pollution particles. In fact, in that short time, the concentration of chemicals in the snow, like benzene and xylenes - shot up tremendously, enough to make it a public health hazard. While this maybe a dramatic example, researchers concluded that today’s snow is filled with more concentrated pollution than our air. Simply put, ingesting it isn't a good idea. The location and how long the snow’s seem to be the key to its toxicity though. In more rural areas where pollution levels are lower, snow is likely to have less junk in it. In remote areas of the Arctic, even scientists indulge in eating snow time to time. "It is well known amongst snow chemists that fresh Arctic snow goes very well with 15-year-old single malt whisky,” Pomeroy told NPR. Additionally, scientists say that no matter where you are, the first snowy flakes are the ones to avoid. Since snow is so good at absorbing pollution particles, the more it snows, the less toxins will be in the later snow, says NPR.